Free, Monthly support group meetings: North County SD, Spanish Language, Collaborative with San Diego Unified School District, Adult Support and Information Meeting-Central San Diego, Coffee Talk, and our newest group in East County (Total 2013: 50+ meetings). Website with current local and national autism resources, events and information. Active social network site communications-Facebook, Twitter, Meetup, Instagram. Local office support with 24 hour response during business week to phone and email inquiries. Escondido location (Total 2012: 24 parties). Co-sponsor Surf Camp for Children with Autism with Aqua Pros Swim School (since 2002). children and teens with autism (since 2002). Sponsor of two education conferences per year with nationally recognized speakers. Children’s Hospital of San Diego. Dr. Bernard Rimland Research Grants to Graduate Students studying Autism (since 2003). 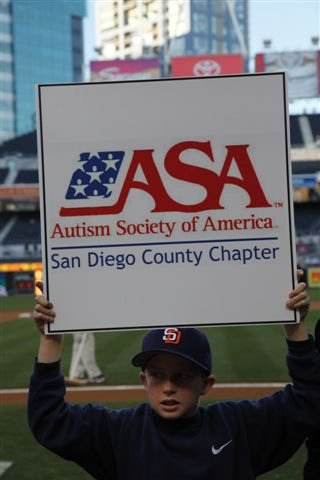 Provide up to $6000 per year in scholarships for local persons attending training about autism. Monthly Sensory Friendly Family Movies in partnership with AMC Movie Theaters. Collaborative Sponsor of San Diego County Sheriff Departments “Take Me Home” Program. Facilitate discounted tickets to Disneyland tickets to families of persons with autism. Participates with world renowned Old Globe Theater with autism-friendly stage production.